Address: 64 Horne Road, Singapore 209072. It is a fusion Chinese cuisine, specializing in BBQ, according to the website after a Google search. They serve Sze Chuan food too. We were there for dinner on the March 14th, after the weekly run for our upcoming marathon in April. One of our colleagues suggested to try the food here and we walked down to Horne Road from the office. The restaurant opens until late, 4 am in the morning, however, they begin their business in the evening time. Since, it is a BBQ restaurant, it is reasonable to open at late hours. Unable to recall the name of the dish. 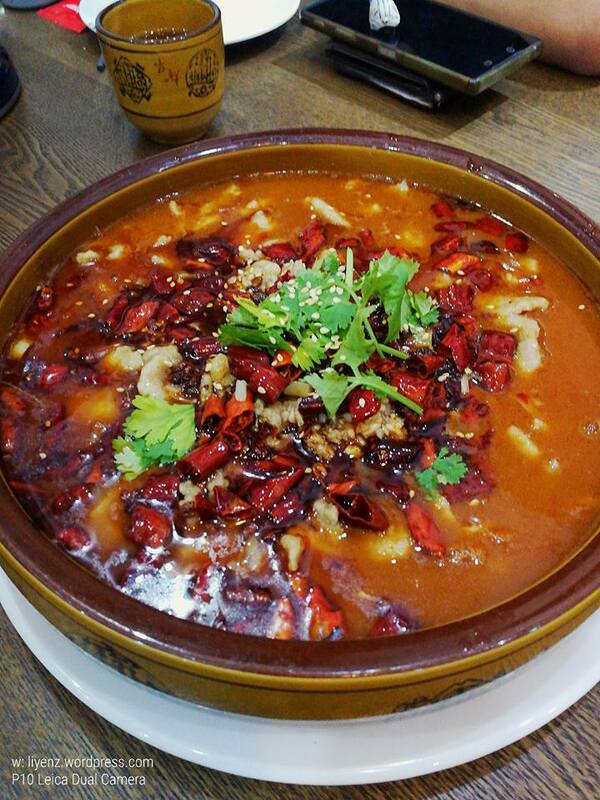 However, the dish is delicious, tasted well, not over-cooked, not too oily and most importantly, it is not too spicy although the dried chilies on the surface seems a lot. The best thing is it is not too oily, where the amount of chili oil controls the taste of the food quite well. It consists of generous amount of chicken meats, vermicelli and bean sprouts. Then, we ordered two other dishes. The hot plate tofu, which I hardly do it myself at home and a plate of vegetable. The hot plate tofu serves with the Chinese sausage, not the dried Chinese sausage, just to be clear. It is quite unique in a way. 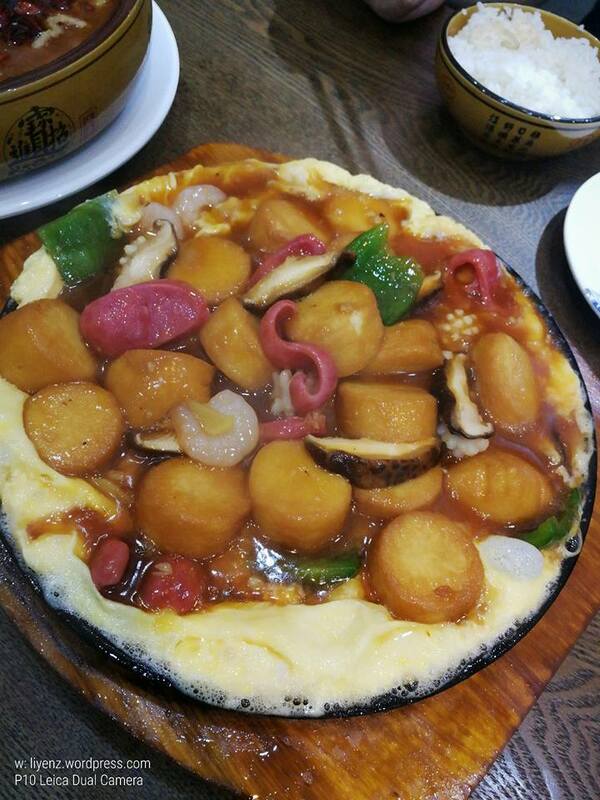 Other ingredients are quite normal which are small sized prawns, vegetables and sliced mushroom. 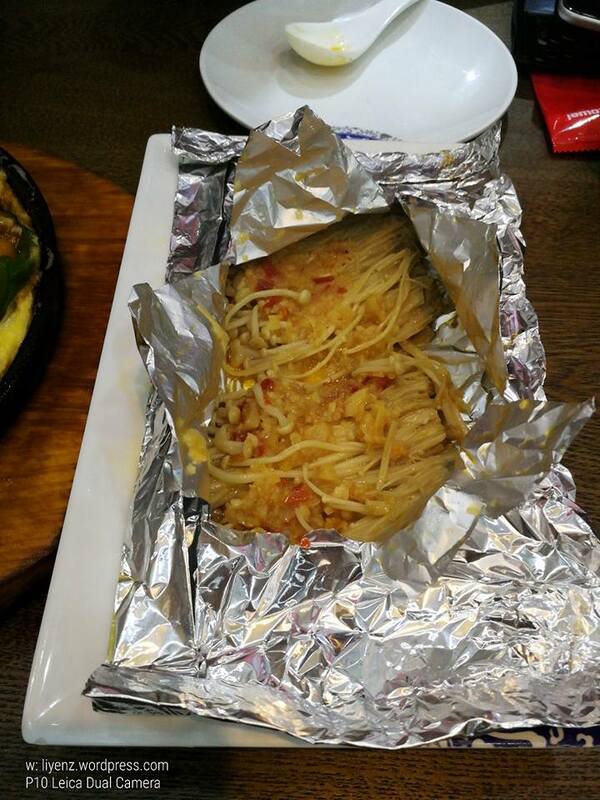 Overall, it is well tasted, just a little a bit oily. Lastly, we added on the grilled enoki mushroom with chilies and garlic. A simple dish with minimal ingredients and yet, it is tasted good too. I can try to make this at home one day.